Endurance like no other! 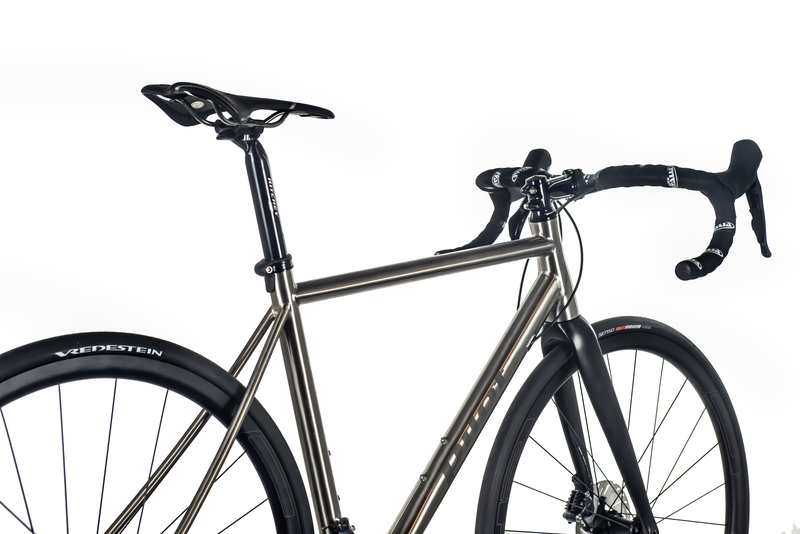 The Veturi is a titanium touring bike which will give you comfort during your gruesome long distance rides. On the Veturi, the most gruesome long distance race just feels as the average Sunday morning ride with your mates. 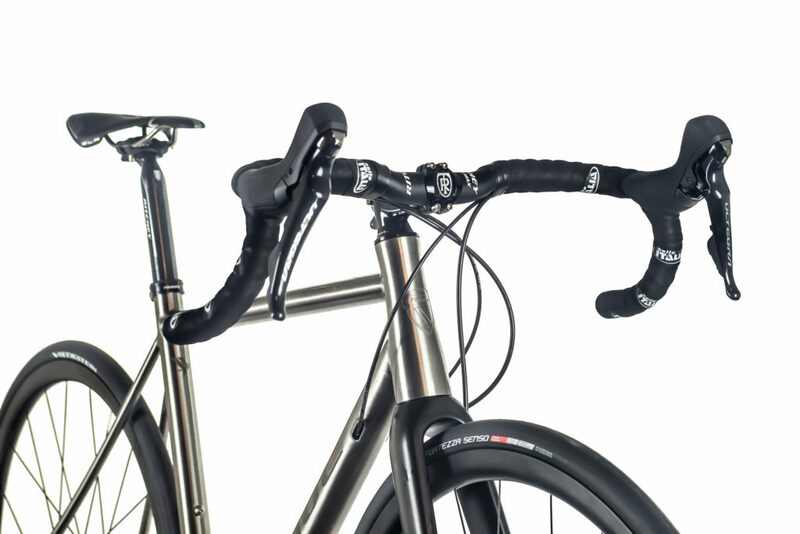 That’s not just because we used sophisticated double butted and hydro formed tubing, but also because we got the geometry dialed in for the rough stuff, using a longer head tube and some nicely curved seat stays to give more comfort. 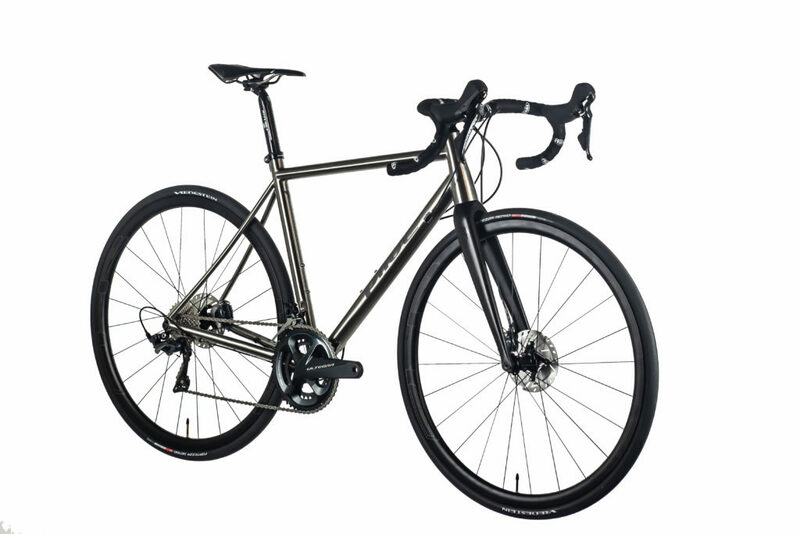 This frame is built to last a lifetime and many thousands of miles. How many, that is entirely up to you. Just crank it up! Say goodbye to cheap excuses, because a Pilot endures all circumstances. Our titanium frames are built to last, so be prepared to conquer the elements in winter, spring, summer and fall. Let’s wave to the riders that have to stay on the beaten paths because they are scared that their carbon bike will get scratched. Just trust your Pilot. Whatever the day, whatever the weather. Your Pilot makes every day feel like an easy Sunday morning. Leave your bicycle tools at home, because our Pinion gearbox does not mean to give up very easily. 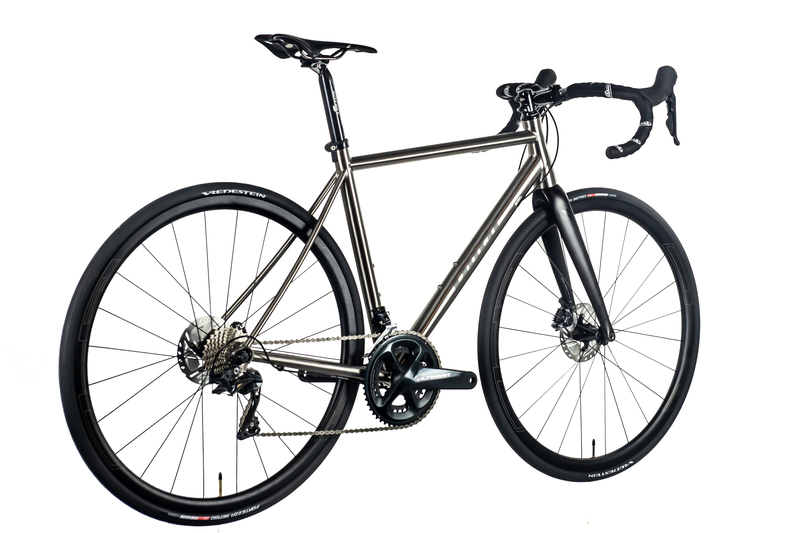 Just enjoy a carefree ride on a custom made titanium bike, or on one of our well-known models. You decide, you’re the titan.